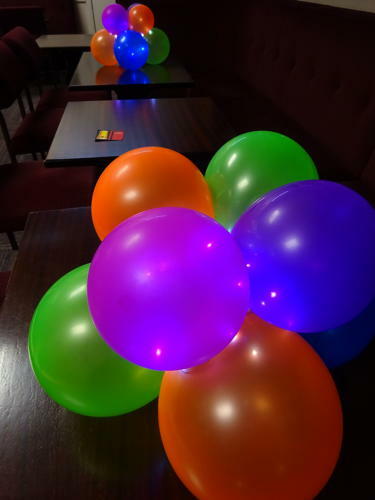 These are made using our multi coloured neon balloons, they will glow if there is uv lighting at your venue, but they light up nicely with our fairy lights. They can be done using any colours to suit your event. Please order these at least 2 weeks in advance.